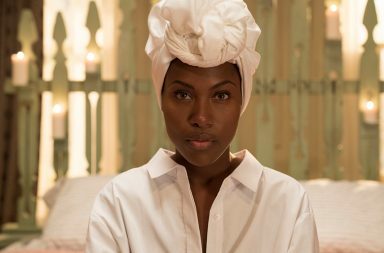 Star of Spike Lee‘s Netflix series, She’s Gotta Have It, DeWanda Wise has already landed her next role, and it’s a HUGE one! Wise will co-star opposite Academy award-winning actress Brie Larson in the Anna Boden-Ryan Fleck-directed Captain Marvel. According to Deadline, she’ll also be co-starring with Samuel L. Jackson, Jude Law, and Ben Mendelsohn. The news comes swiftly after the announcement that Netflix will be renewing She’s Gotta Have It for a second season. They’d be crazy not to, right? In 2017, I witnessed the work of 2016 (and long before) come to fruition in a way I never had envisioned for myself. 3 TV shows, growing pangs, and a crash course in Hollywood-ing later & I’m looking forward to 2018 with sharper vision & a renewed sense of purpose. There are a few bright stars sparkling on the horizon that I cannot wait to share! Thank you for bearing witness to the journey. Indeed, “the highest honor, the greatest love is paid to another by simply bearing witness to his or her experience,” and I hope to continue to honor YOU by bearing witness to the truth and beauty of who we are.